I’m Anoosha aka Noosh or Nooshie. The girl who doesn’t train. The girl who’s glitter stays on. The girl who looks like she can’t swim. The girl who doesn’t know how to fix a flat & hopes she never has to. The girl who just figured out how to shift gears. The girl who more than once has finished last while smiling. The girl who takes the time to help anyone needing encouragement. The girl who will stay with you to ensure you finish. The girl who can’t stop signing up for races. The girl who has been through a lot, but is alive because of TRI’ing. 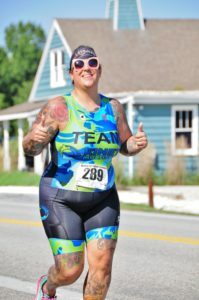 The girl who drove to Florida to do 1 more triathlon in December. 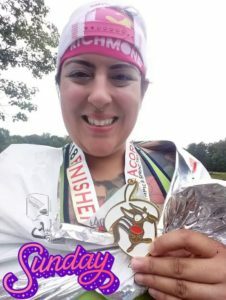 The girl who somehow survived 29 Triathlons, 1 Darn Duathlon, 7 Half Marathons, 5 Mile Trail, & a 10K in 2018. The girl who will get you out there to TRI!